On Monday 11 September, we went over to GFI’s offices in Liverpool Street as part of their annual charity day. 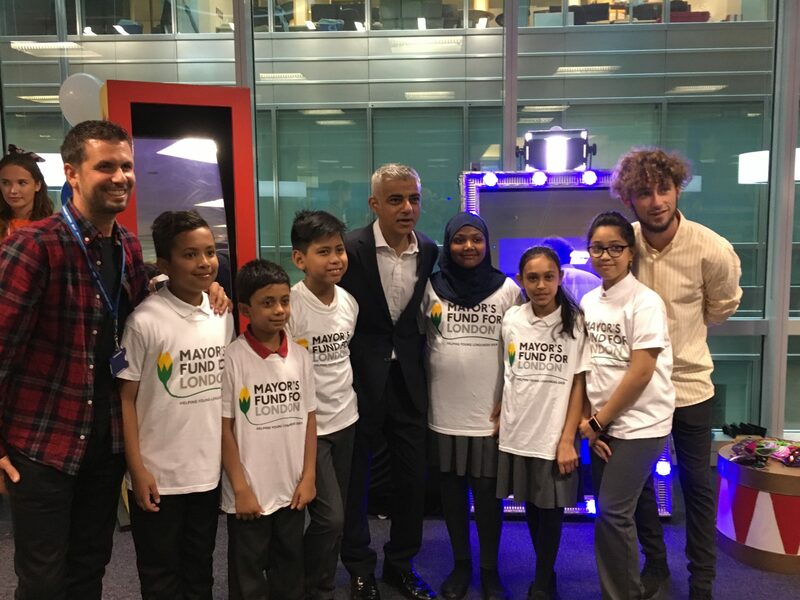 Joining us were Count on Us Maths Challenge winners Mayflower Primary School from Poplar, and our Patron, Sadiq Khan, Mayor of London. Every year on Charity Day, Cantor Fitzgerald, BGC Partners and GFI, honour colleagues who perished on 9/11 by distributing 100% of global revenues to the Cantor Fitzgerald Relief Fund. Grants are then individually distributed to hundreds of charities worldwide. 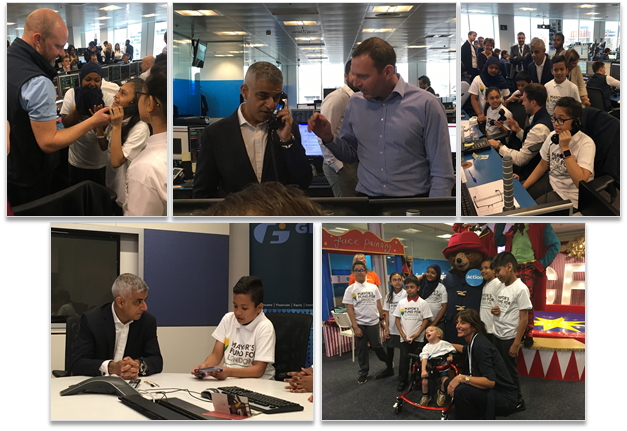 The Mayor and Mayflower pupils were invited to mingle with staff on the trading floor and take part in real stock trades over the phone – some of which were very successful indeed! Mayflower Primary also spent quality time with GFI brokers and the senior management team and they received valuable insights into career prospects and opportunities within the industry. To cap it all off, they then sat down with the Mayor to demonstrate their amazing (and super-quick!) maths skills in a fun game of 24® puzzles. Thank you to GFI for their support and hosting us for the day.